Reminiscent of popular Art Deco design, the Levine Mirror by Eichholtz draws inspiration from the sleek lines of the era. A stepped, polished frame in staineless steel encases the mirrored glass aiding the reflection of light around the interior space. 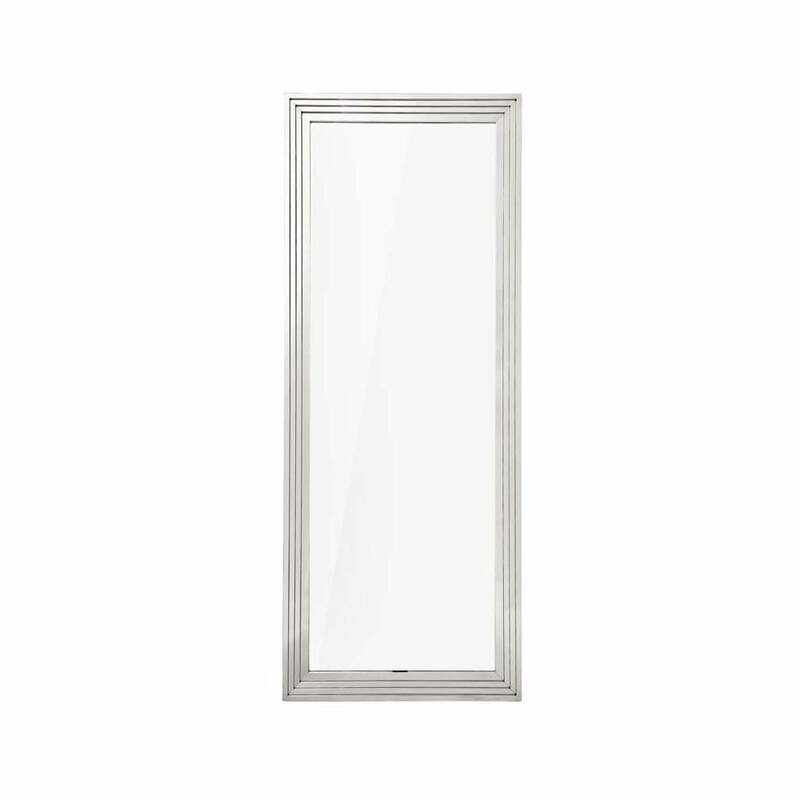 This full length mirror will make a stylish addition to a hallway or bedroom providing a head-to-toe view of your outfit before leaving the house. Also available in a gold finish. Make an enquiry for more information.